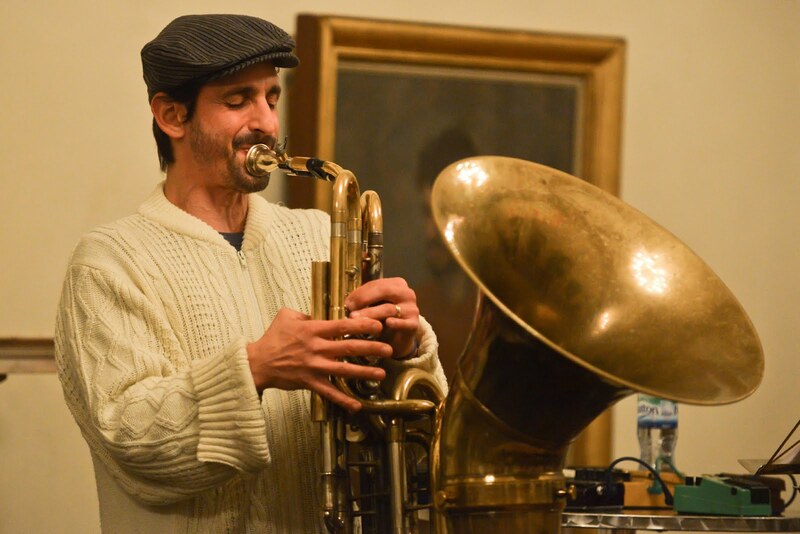 We discovered belatedly, today, that tuba-genius Oren Marshall, improviser, innovator, has been appointed Head of Brass Studies at Trinity Laban Conservatoire of Music and Dance. The appointment has been effective since September. There is a saying that pioneers get the arrows, whereas settlers get the land. For that generalization, even once, to be turned on its head is very very good news. Congratulations.